Making snow muffins is a fun cooking project to make with your children on a cold, snowy day. 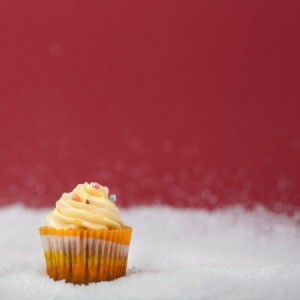 This page contains snow muffin recipes. Our children loved to make these on snowy days. Mix dry ingredients well. Combine egg, milk, and snow with dry ingredients. Line or grease muffin tin. Fill cups 3/4 full with batter. Bake at 425 degrees F for 15 - 20 minutes. I recently saw the recipe posted on your site for snow muffins. I am wondering if the person who submitted it is really using snow. What substitution could be used in place of the snow? Hi Amber! All I have ever used for this recipe is snow. That was always the fun of this recipe for our children was to go out and scoop up the snow on stormy days to make the muffins. Toronto must have a good supply like we do in the Maritimes, eh? Enjoy. I was thinking that any snow, whether it has freshly fallen or had been sitting there for a while, would not be clean because of pollution, wouldn't it? It seems that you don't get sick so there is no problem. We do get a lot of snow in Toronto but not as much this year. You have been hit hard in the Maritimes! By the way, my father is from Amherst, Nova Scotia. It is very nice of you to take the time to answer my question. Have a great day! Has anyone done the packed 1/2 cup of snow to water? and if so would you please tell me how much water to use, we dont get a great deal of snow in my patch of the U.K.